The ‘name’ — Looking at the name I would expect and entry level camera. One which is set below the Nikon D40 for example. 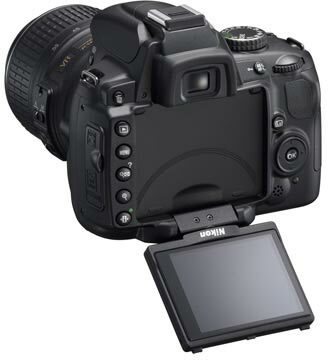 Looking at the specs it is the successor to the Nikon D60 and fits just below the Nikon D90. The ‘swivel display’ — This is a great feature and might be a reason for me to switch from my, now very obsolete, slow starting and battery draining, Nikon Coolpix 5700. All these surprises can be get for the price of a Nikon D90.